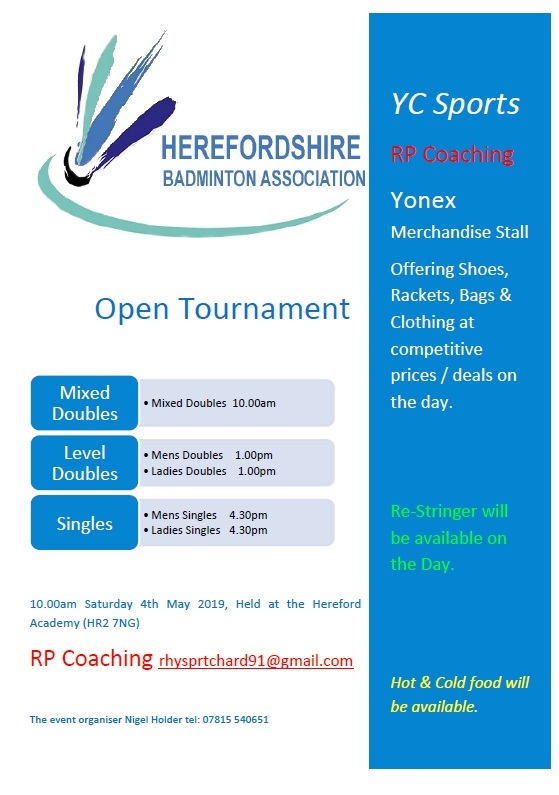 Hosting the 8th Hereford Open, we welcome players from Herefordshire and all surrounding counties. The tournament has had great success in previous years and the entries continue to grow as well as the standard of badminton. Entrants must be over 18. County coaching is coming back! Open to anyone who wants to improve! We are entering the senior county championships again this season so if you want a chance to represent your county then come along! Click on the flyer for more information on how to play and pay. 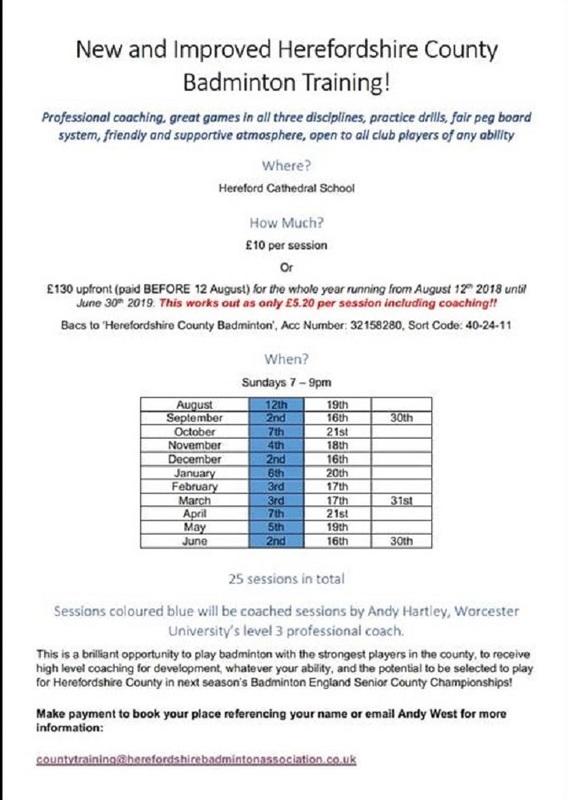 Cost: £10 per session (including coaching) or £130 up front for the whole season! 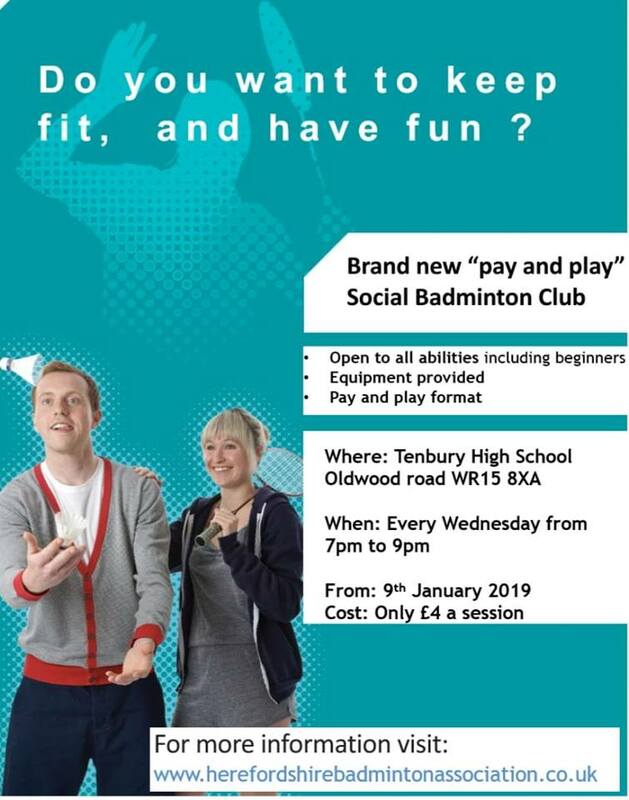 If you're looking to start playing a new sport and keep fit whilst having fun then try the Badminton sessions that start on Tuesday 12th September. It's only £4 for 2 hours! 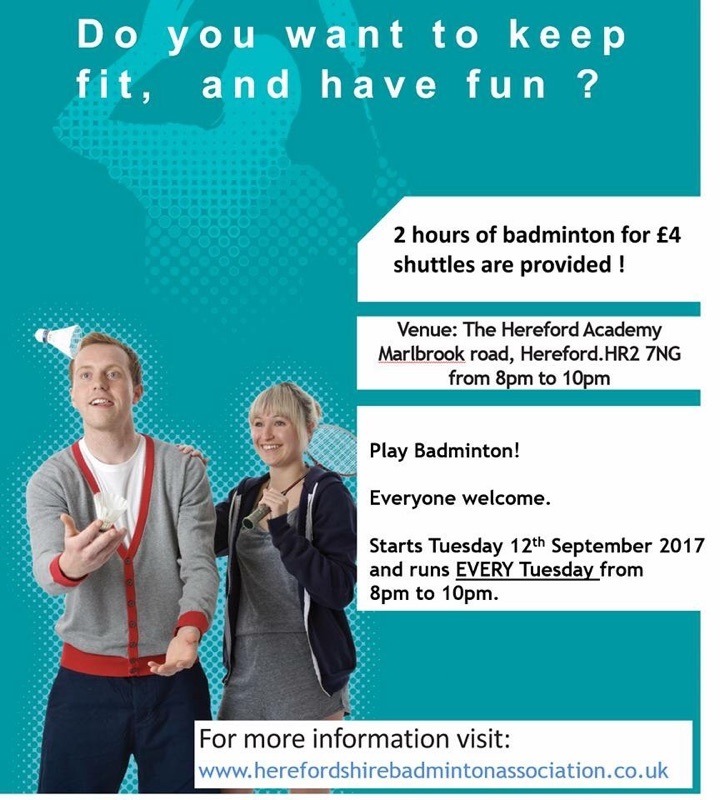 Everyone is welcome, whether you're new to the game or looking to rekindle your passion for the sport come along to the Hereford Academy every Tuesday between 8 and 10pm. Cost: £4 for 2 hours play with rackets and shuttles provided!